To paraphrase Virginia Woolf: “Behind every great champion, there is always a great physiotherapist”. An aphorism that champion of two wheels as Casey Stoner, Nicky Hayden and Valentino Rossi are ready to sign after having met Alfredo Dente. 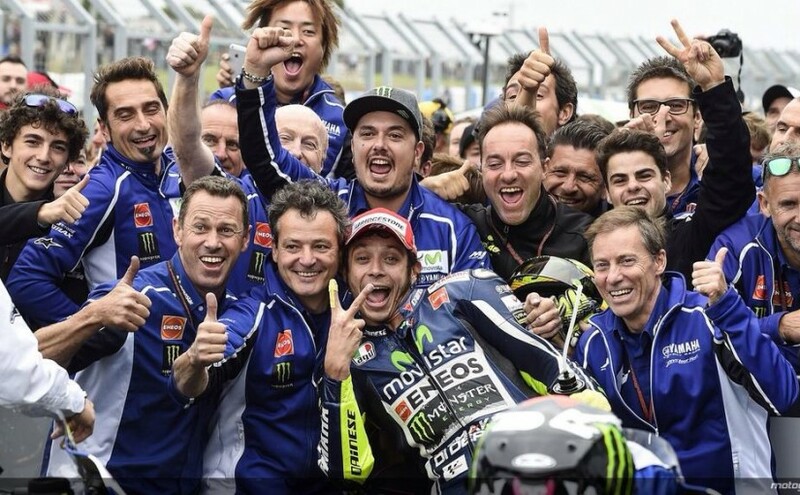 The experience and the competence of this physiotherapist from Forli, professionally grew up in England and Australia, has in fact incurred them during several MotoGP championships, helping them to deal – and overcome – complex issues. No wonder the Tavullia centaur, in force to Yamaha, has chosen him also for the 2014-15 season, although Mr. Dente is officially the Team Coordinator of the SKY Racing Team VR46. 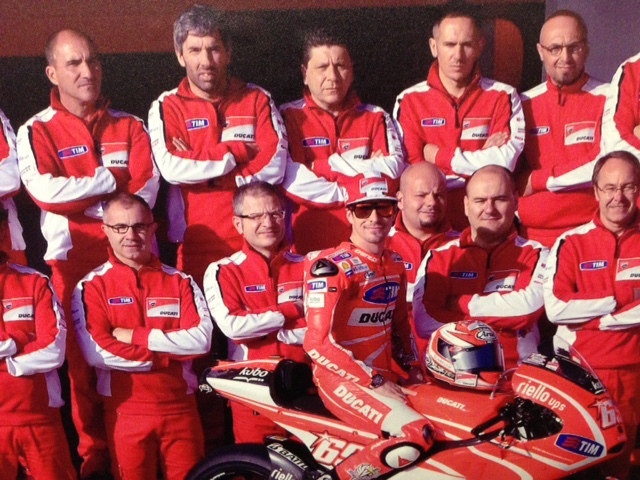 A clear demonstration of full confidence that the physiotherapist, in the past for long time operating at Ducati, has paid off. To «give me a good hand» in coping with the problems that the riders face up before and after each competition and «to allow them to get back on track quickly», Mr. Dente has focused on MLS®, laser therapy made in ASAlaser, company for over 30 years at the forefront in the study and development of therapeutic solutions. A. Definitely: if there are the conditions to recourse to ASAlaser therapeutic solution, that I have chosen as travelling partner in this World Cup, I will use it even on Valentino who, as all multi-titled professionals, has as priority to be in the best condition for run. Q. Being at the side of riders involved in MotoGP circuit is not a news for ASAlaser. One of its flagship therapies – Hilterapia® – since eight seasons support Clinica Mobile’s staff composed of doctors and physiotherapists. A. Exactly in Clinica Mobile, where during the last few years I landed for personal needs and to solve the problems of some athletes, I have known the HILT® pulse. Comparing with the colleagues of Dr. Claudio Costa “Travelling Hospital”, currently managed by Dr. Michele Zasa, I have collected information about the validity and the effectiveness of ASAlaser therapies. The successfully cases have definitively convinced me to ask for more details. Q. From Hilterapia® to MLS® is a short step. A. Especially when I have found out that MLS® has given good results in treating Marc Marquez pathology. Q. Do the news travel so fast? Q. Beside the manual therapy, in which you are specialized, you will combine the laser therapy, after an ad hoc training in the Company ..
A. In England, where I have trained after finishing my studies in Italy, and in Australia, where I have followed a Master, I have mainly studied the manual therapy with focus on musculoskeletal diseases. Landing in the sports world, where everything travels around the need to speed up the results, I have considered, however, essential to integrate the opportunities offered by my specialization with the advantages of instrumental therapies. Laser therapy is therefore already part of my knowledge: I am now interested in exploring the benefits of MLS® in order to use it best to meet the athletes needs. Q. What does a rider look for when he calls on you? A. Return to be competitive in a short time is the priority of every rider when he is not in full form. Since their goal is to win, what really matters is finding the best solution to solve the problem that plagues them. Q. A considerable responsibility for those who, like you, is called upon to provide this solution..
A. With regard to the purely “technical” aspects I don’t do any difference in treating a super champion as a Sunday athlete. What makes the real difference is the confidence to have short time: for this reason the team play that involves a variety of professionals becomes basic. The secret is to diagnose with fairness the disease and then evaluate in collaboration with other specialists the most appropriate treatment to resolve it. A. I got used to it when I have decided to work in the world of motorcycling. When, for example, Valentino or Andrea (Iannone, ed) after a workout have pain to an arm or a calf we must be immediately ready to intervene to resolve it. For this reason I believe MLS® will help me ..
Q. What are the problems that you commonly face? A. Riders, for their “work”, assume a particular posture that has an impact on their back and legs. I am referring specifically lumbar soreness, leg fatigue, tension in the neck and thoracic spine. Our task is to help them to overcome these issues to get on track in the best way. Q. Your career has begun in hospitals, would you have thought to move from the ward to the circuits? Modesty is part of Alfredo Dente’s nature but his curriculum includes not only many years of experience in MotoGP (junior team Honda, Ducati), but also in Formula 1 (Team Minardi – current Toro Rosso). «I am aware – he concludes – that if I had not been very helpful, and above all, professional these doors would close after just one season».